The who, what and how of this issue was very well said and accounted for in a post by Sheila Bush, founder of The 1,000 Letter Lyme Campaign (complete with email addresses and a letter template), from which this post is drawn. Much of the detail needed to understand what it at stake is contained within the template, but additional information can be drawn from the Lymedisease.org article link at the end of the post (as well as additional email-sending tools and suggestions and the full text of the bill). According to folks in the know, lots of folks have been contacting the senators about this issue, so they’re taking this topic seriously. If you haven’t already, please send an email to keep Lyme disease front and center! We need to support Massachusetts in passing a bill that would force insurance companies to cover the diagnosis and treatment of LYME disease! HALLELUJAH! This would be a HUGE VICTORY, and hopefully other states would follow suit. As someone who suffers from debilitating Lyme disease (or: As someone who cares about those struggling with Lyme disease), I strongly urge you to co-sponsor H.D. 469 An Act Relative to Lyme Disease Treatment Coverage. Chairman Linsky has filed H.D. 469 to protect Lyme disease patients’ access to care. H.D. 469 mandates health insurance coverage for Massachusetts residents who are being treated for Lyme disease. Currently, some insurance providers deny coverage for Lyme disease treatment to Massachusetts residents. As a result, many Commonwealth residents are unable to afford necessary treatment, resulting in their Lyme disease becoming debilitating and potentially deadly. Gaping holes in insurance coverage place people’s lives on the line. Too often, insurance providers, not doctors, dictate medical care to Massachusetts residents suffering from Lyme disease. This bill will put the power of medical decision-making back into the hands of trained physicians and help the thousands of residents in the Commonwealth suffering from Lyme disease afford the treatment recommended to them by their physicians. H.D. 469 builds on the Massachusetts Physician Protection Act enacted in 2011, which allows physicians to treat Lyme disease for longer than a month without censure. Importantly, the recent Massachusetts Center for Health and Information Analysis (CHIA) report findings support that An Act Relative to Lyme Disease Treatment Coverage, if passed, would result in little to no ($0.0) impact on the cost of insurance. I look forward to hearing from your office. Thank you for your time and consideration. The Lymedisease.org article above is a message from the Massachusetts Lyme Legislative Task Force, and is targeted toward recruiting co-sponsors for the bill, which was needed within a two week time-frame. It also links to email options that appear to focus primarily on Masachusets residents. The template above, however, is more widely targeted, and is asking for support of the bill, and it is not entirely clear at this time if more general support needs to follow the same two week period. 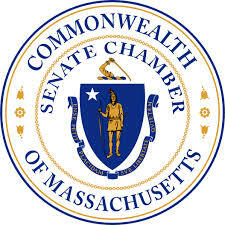 My general impression is that Massachusetts residents may want to target their efforts toward co-sponsors via the state specific links in the article (stating their hope that their rep supports/supported the bill if they don’t quite make the deadline). And that those of us from other states continue to send emails to request support from reps in general (just my two cents).